A stunning debut novel, THE END OF ALWAYS tells the story of one young woman's struggle to rise above a vicious family legacy and take charge of her own life. In 1907 Wisconsin, seventeen-year-old Marie Reehs is determined: she will not marry a violent man, as did her mother and grandmother before her. Day after day, Marie toils at the local laundry, watched by an older man who wants to claim her for his own. Night after night, she is haunted by the memory of her mother, who died in a mysterious accident to which her father was the only witness. She longs for an independent life, but her older sister wants nothing more than to maintain the family as it was, with its cruel rules and punishments. Her younger sister is too young to understand. At first, it seems that Marie's passionate love affair with a charismatic young man will lead her to freedom. But she soon realizes that she too may have inherited the Reehs women's dark family curse. 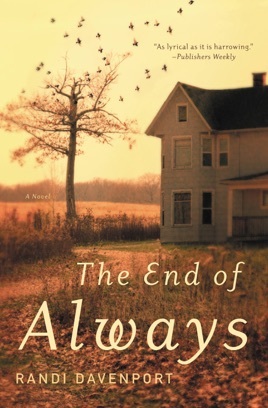 Set in the lush woods and small towns of turn-of-the-century Wisconsin, and inspired by real events in the author's family history, THE END OF ALWAYS is a transcendent story of one woman's desperate efforts to escape a brutal heritage. Both enthralling and deeply lyrical, Randi Davenport's novel is also an intensely affecting testament to the power of determination and hope, and a gripping reminder of our nation's long love affair with violence. 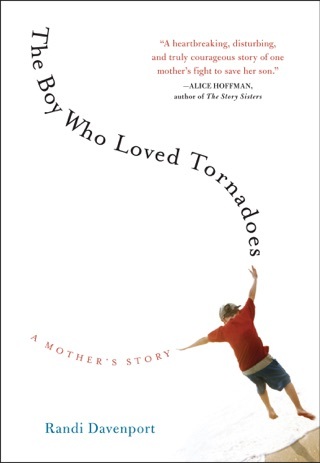 In a first novel as lyrical as it is harrowing, Davenport (author of the memoir The Boy Who Loved Tornadoes) explores the darker side of the American dream and women's exclusion from its freedoms. Marie Reehs, the child of German immigrants, comes of age in Waukesha, Wis., in the first decade of the 20th century. When she's 17, Marie loses her mother to a gruesome injury; though the death is deemed an accident, awareness of her father's violence make the naturally questioning, even visionary girl doubt that convenient explanation. Later, working grueling days as a laundress, Marie reencounters August Bethke, one of the passersby who helped bring her mother home as she was bleeding to death from a stab wound. Soon trysting with him in the woods at night, she finds herself in conflict with her family, her employer (who begins to make passes at her), her coworkers, and her fellow townspeople, who look down on her affair with August. Her elemental passion seems to promise a less constricted future, but Marie finds that neither her family's painful legacy nor her own female vulnerability is easily escaped. Davenport shapes her story drawn from her own family history with scrupulous patience, deftly juxtaposing striking images of the Midwestern landscape with evocations of Marie's vivid inner world. I could not put this book down. Davenport's beautiful imagery and way of speaking directly to the reader was spellbinding. The story, though very heavy at times, was uplifting in the end. There were parts of Marie's thinking that were very relatable, and yet her reality was so different from present day. This book truly made me thankful for the women that had the courage to stand up and create a voice for their daughters.